D.F. 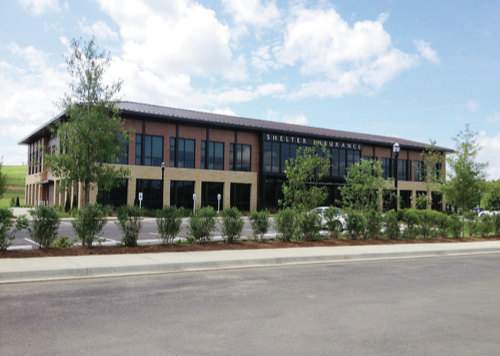 Chase recently completed the 31,000 square foot Tennessee headquarters for Shelter Mutual Insurance Company. The project is located in the Toll Gate Village development of Thompson’s Station. This project consists of a structural steel frame with brick and precast stone veneer. The building was completed on time and under budget.